In a fast-paced world where you barely get time to dip your teabag into hot water, it’s little wonder so many people are looking at ways to cut their time spent in the kitchen while staying healthy. One of the most popular ways to do this is through using a food processor. Quite simply, food processors can chop, liquefy and make short work of veggies and other tough foods for soups and purees. Who doesn’t love a good cup of soup on a cold winter’s day? If you’re involved in the art of soups and purees, then you may find a food processor to be your new best friend. What’s the difference between a food processer and a blender? Traditionally, blenders were typically less powerful than food processors and as such were more suited to pulverising fruits and light work for smoothies. Food processors were typically the go-to for veggies and are now useful for making things like dips, soups and anything involving liquefying vegetables. So, you might still be wondering what the difference is, and you’re probably right – there’s not much of a difference. Nowadays, blender technology has evolved so much amid consumer obsession with smoothies, that blenders and food processors are pretty interchangeable. However, many food processors make thicker cuts, which can be great for tough vegetables, but not so much for smoothies where a finer chop may be needed! Overall you’ll probably find that one unit – either a blender or food processor – can get the job done and the differences may be miniscule to your beverage or soup enjoyment. What are the best food processors in Australia? 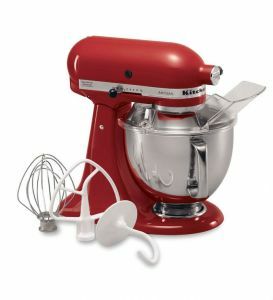 A classic among kitchen countertops around the world, KitchenAid has been around for nearly 100 years and makes a variety of premium small appliances aimed squarely at those who are willing to pay a little more for rugged quality. Take for example the Artisan (KFP1333) that retails for about $500 (pictured). It’s a relatively bulky and sturdy unit weighing 3.1kg, with a foodprint of about 30cm. With 300 watts of power, it features a huge 3.1 litre work bowl, a 950ml mini bowl, various adjustable discs and blades for cutting a variety of foods and a spatula. This all of course comes in a handy storage case. KitchenAid is a great option for consumers who perhaps want to spend a little more to ensure their processing needs are met. 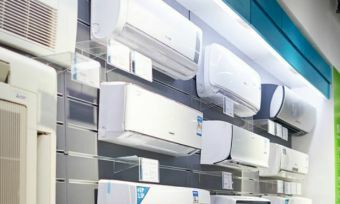 Originally a British-made brand, Russell Hobbs covers a lot of territory when it comes to the small appliance market. You might think that, being a British brand, its products would command a higher price, but you’ll actually find Russell Hobbs competing with the best of them on price. Compare the RHFP6010AU model (pictured) retailing for about $250. It features two slicing methods – the AutoDice commercial-style slicer blade to make 8mm cubes, and the Flexislice adjustable slicing system that cuts between 1-5mm. Add to that three speed levels, 11 cups, a 1.2L chopper bowl and you’ll have yourself a feature-packed food processor at a fairly cheap price. It also features digital controls and three other blades – an S-blade, a grating and shredding disc and a dough blade. A household name among many, Sunbeam is a bright and cheery beacon in the food processor world. Generally placed more towards the budget end, Sunbeam food processors, however, do not lack in quality. You might find they even offer good ‘bang for buck’ value. Take for example the Compact Duo (pictured) with its 1000 watt motor. It comes with 1.5L glass blender jug and in-bowl storage. Also included are three sizes of chutes – small, medium and large. To make light work of those veggies are three speed settings plus pulse. Retailing for $149, it’s a cheery food processor at a cheery price. If you fancy yourself as a big man – or woman – on campus then a Magimix food processor may be up your alley when it comes to the kitchen. Magimix make high-end food processors that are sure to excite a lot of people. If you’re in the market for a do-anything kind of food processor, have you considered the Magimix Cook Expert? 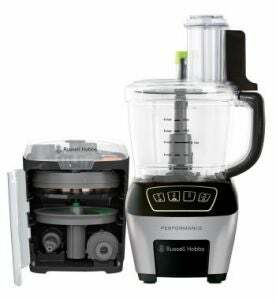 Retailing for just over $2,000, it’s the exotic supercar of the food processor world, but what it can do puts it in the major leagues. It makes making dough and pastries a snap with a 900 watt motor. Its key features are 12 automatic programs for a variety of cooking applications. It’ll blast through a smoothie run, make light work of a puree, crush ice like it’s nothing and simmer, steam, knead and whisk away for all your dough and pastry needs. It is controllable through 18 speeds, and even has its own rinse cycle, as well as a built-in scale. The Cook Expert is virtually a one-stop shop for a host of kitchen uses. And at roughly two-grand you’d want it to be. Check out the video and you’ll be impressed. What is a mini food processor? If you’re baulking at the cost of the food processors above, we don’t blame you. Other than the cost, you also have to consider the footprint these food processors have in your kitchen. Apartments and townhouses frequently have smaller kitchens where you can’t afford to have one area virtually taken up by one appliance. That’s understandable; have you considered a mini food processor? Like the name suggests, mini food processors frequently come with a smaller footprint than their larger brothers. Regular food processors – like in the Magimix Cook Expert’s case – can weigh up to 10kg and have a footprint of over 30-40cm! 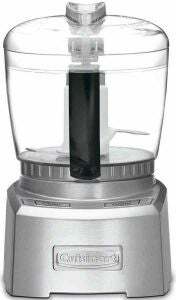 One such example of a mini food processor is the Sunbeam Compact Duo as featured above. While it’s not a fully blown mini version, it’s still rather compact and still packs a punch. The size differences mainly come from the smaller base and jug sizes, rather than compromising on motor power. You can usually do everything a larger processor allows you to do, just in smaller quantities. Should I buy a food processor? As you would have gathered from above, the money spent buying a food processor is nothing to sneeze at. If you already have a decent blender, then you might be scratching your head trying to justify the $100+ cost of a food processor. And you’d be right in doing so; the line between blenders and food processors is more frequently blurred. However, where food processors shine is their ability to chop through more hardy vegetables. Think of blenders more designed for sweet stuff, and food processors more for savoury stuff. Overall, if you’re considering a food processor, then learning the scope of the prices as outlaid above may prove to be useful. 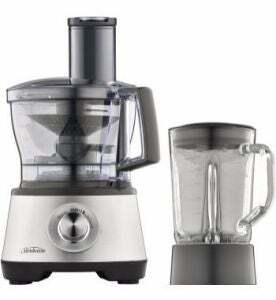 Though, if you’ve already got a high-end blender then we suspect you’ll be content with what you already have.